Canada’s Dominion Diamond Corp. (TSX, NYSE: DDC), the world’s third largest producer of rough diamonds by value, said Monday it has accepted The Washington Companies sweetened cash takeover bid presented last week. The privately held Montana-based firm is offering $14.25 per share for all shares of the diamond producer, which means the acquisition is worth is worth $1.2 billion. The transaction represents a 44% premium to Dominion’s stock price of US$9.92 on March 17, the day before Washington disclosed its interest. Washington is offering $14.25 per share for all shares of the diamond miner, a 44% premium to Dominion’s stock price of US$9.92 on March 17. Dominion launched the sales process in March following the unsolicited $1.1bn approach from Washington Companies, a group of privately held mining, industrial and transportation firms founded by US billionaire Dennis Washington. 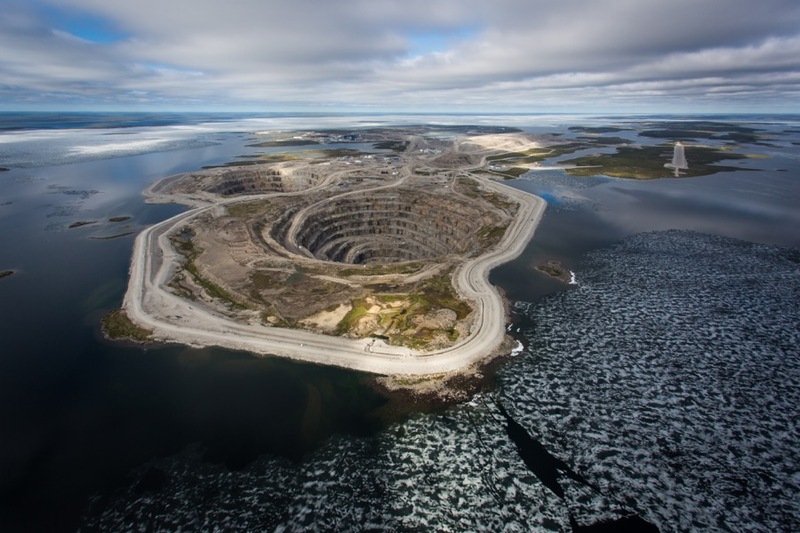 The company, which owns a majority stake in the Ekati mine and minority share of the nearby Diavik mine in Canada’s Northwest Territories, rejected Washington’s initial bid made privately on Feb. 21, saying it undervalued the company. “We are excited to work with [Dominion's team] to extend the mine life of the Ekati mine and continue partnering with Rio Tinto in the operation of the Diavik mine, while maintaining long-term employment,” Washington Companies President Lawrence Simkins said in the statement. As part of the acquisition, Washington said it plans to operate Dominion as a standalone business, appointing a new chief executive based in Canada. It also vowed to keep the company’s headquarters in Canada with a “significantly Canadian” management team. Additionally, the US company promised to finance the development of both the Jay and Fox Deep projects to extend the mine life of Ekati until at least 2033. Over the past year, Dominion was hit by weak global diamond prices, as well as sudden challenges, including the death of the company’s founder, Robert Gannicott, and a fire at Ekati that suspended processing for three months and cost the miner around $20 million in repairs. Earlier this year, it announced its chief executive officer Brendan Bell was leaving the company due to personal reasons related to the company's planned move of headquarters to Calgary from Yellowknife. Dominion’s move to Calgary, which was expected to be completed in the coming months, would follow a similar decision by De Beers Canada, which moved its headquarters from Toronto to Calgary in July last year. Today's announced deal is expected to close in the fourth quarter of 2017. The diamond miner will be required to pay Washington $43.9 million if the deal is cancelled.